***HUGE REDUCTION - PRICED TO SELL**ONE STORY VILLA **CLOSE TO EVERYTHING**Maintenance Free Living tucked away in a Resort Style Community! Explore this ONE STORY VILLA Featuring 2bed/2 bath /Screened Lanai and a 2 Car Garage! Perfect for SNOW BIRDS or the In Laws - This Spacious open concept features a split floor plan, generously sized bedrooms, well thought out architectural design, tile in all wet areas and lots of storage. 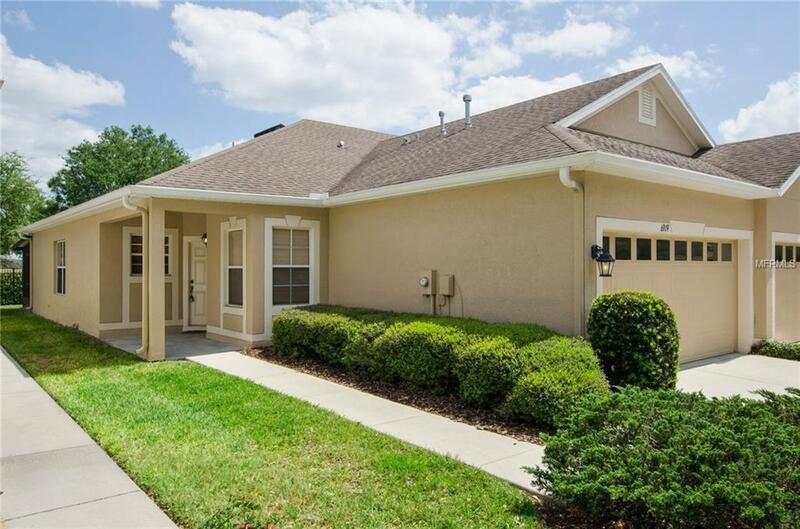 Sitting pretty on a Cul De Sac street in Covington Park, a beautifully landscaped community with peaceful ponds and nature trails. A quiet neighborhood in a great location with many recreational amenities such as pools, clubhouse, gym, sports fields, parks, and walking/bike trails. ***CLOSE to I-75, US-301, and US-41, *schools, *shopping, *restaurants, *St Joe's hospital, Sugar Sand beaches, boating, 20 minutes to Downtown Tampa, Bradenton-Sarasota and Airports. Call Today to schedule a Private Tour of this Wonderful Home in a Great Location! Just outside Waterset Community - This Area is BOOMING! Come Check It Out!